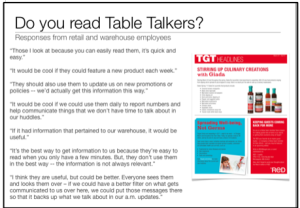 Internal communicators at a major U.S. retail chain were tacking one major challenge that is very common among organizations of all types and sizes: communicating to both offline and online employees. Their headquarter employees are obviously on a computer for most of the day. The retail and distribution center employees, however, are not. 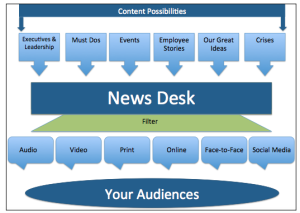 When first approaching this project, the communicators voiced a frustration that their internal process of communicating news to all employees was overwhelming. They needed a way to streamline the process so the wheel wasn’t recreated each and every time something had to be communicated. They also needed more direction and strategy as a team. Many times they found themselves to be a ‘private publisher,‘ or in other words, they just took orders from their internal clients and pushed out loads of content to all employees, without an underlying strategy that tied all communications together, supporting the goals and objectives of the company. After talking with employees we uncovered the fact that the ad-hoc way of communicating was taking its toll. Retail and warehouse employees felt disconnected from the organization as a whole. 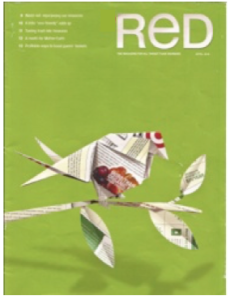 The monthly print magazine that was created specifically to communicate with these groups was not being read. 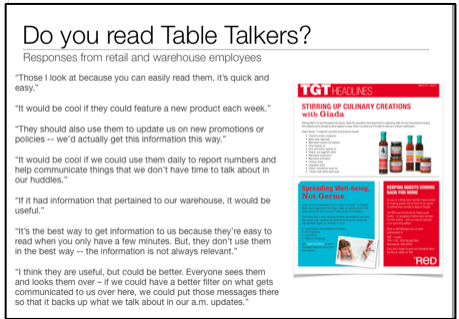 Other communication tools, like table talkers in the break rooms were being noticed, but not being used to their full potential. And they were overloading people with too much mediocre content on their intranet. The communication team was packed with talented writers and communicators. Unfortunately, these talents weren’t put to the best use. Employees found the magazine to be too corporate and stuffy. They missed the ‘personal’ aspect of communications and wondered why they never saw stories about employees … just products. 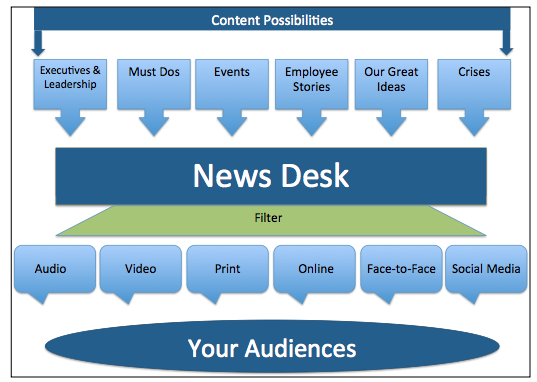 The intranet site had all the tools available to them: blogs, online news stories, video, rating systems, etc. We just needed a way to pull everything together so online employees could better find the stories that interested them the most. They needed less clicks to get to content. 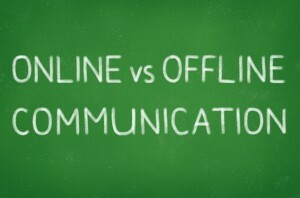 In addition, like many communicators, they needed to learn that less is better. They were posting too many stories on a daily basis. Employees couldn’t keep up with the information, and as a result, the efforts of the communication team to write multiple stories was being wasted. 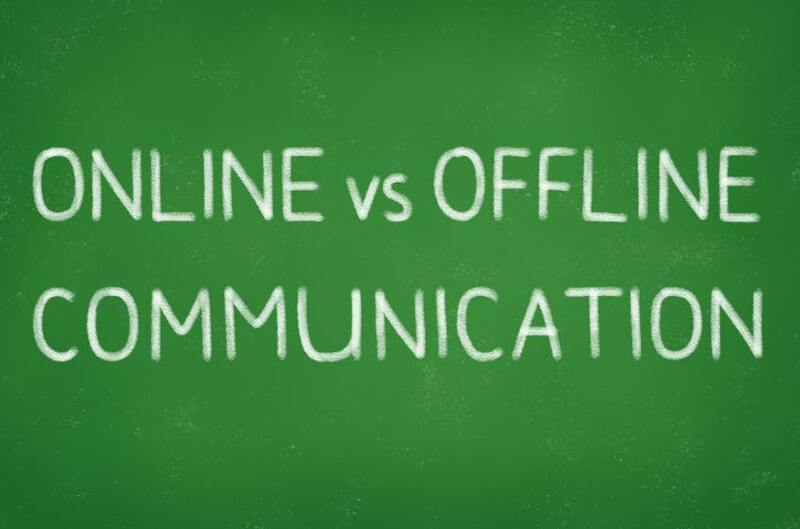 Overall, communications needed to be less reactive and more proactive and strategic. Our focus groups reveal the “why” behind the numbers. Our goal is to capture the most important aspect of focus groups — the quotes. 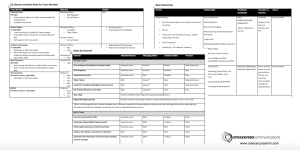 Develop a clear charter of what the department is, what it does, what its goals are: We needed to create a Communication Manifesto … and stick to it. This would help the communicators to say ‘no’ to communicating all of the fluff they shouldn’t have been communicating in the first place. Move to a News Desk system for collecting, reporting, producing, and disseminating communications. 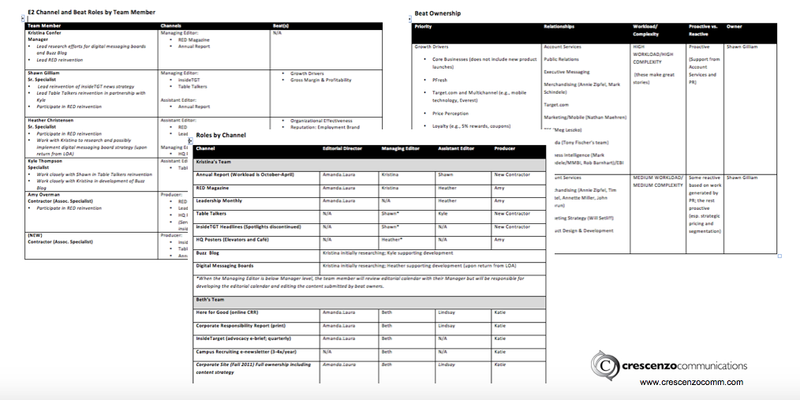 Using our News Desk strategy, we worked with the communication team to create a new strategy and process to help them identify the content they should be doing, and filter out the stories that don’t support their communication strategy. 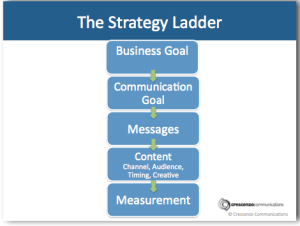 This will be the key to continually providing content that is engaging, informative and relevant to employees. can be both creative and strategic. Improve the current vehicles: Red Magazine needs to be more strategic and people focused. 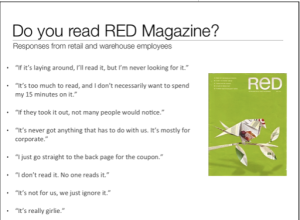 Table Talkers need to integrate more with Red Magazine. We need to improve the intranet by churning out less news and use better “hooks” on the home page. It also needed to be make more interactive, and use multimedia more strategically. 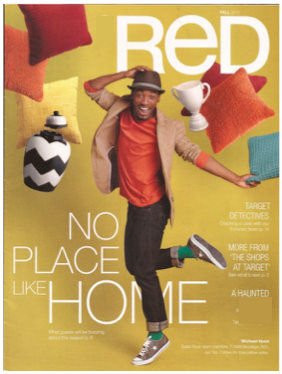 Red Magazine After: 20% increased readership! 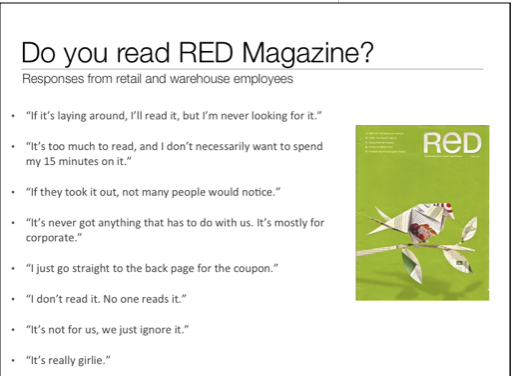 Employee on each cover and consumer headlines to push people to inside pages. 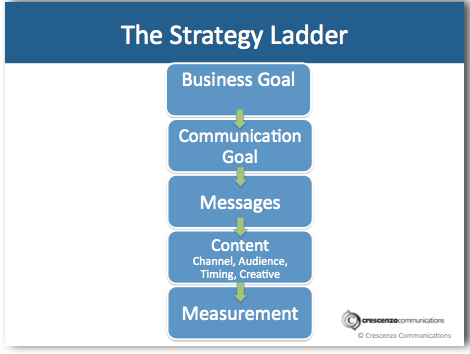 Stories are tied to people at all levels to make stories more relatable and personal. 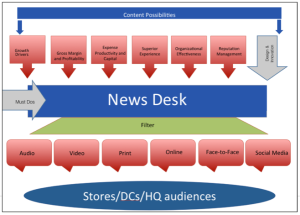 Using our News Desk model we created a customized editorial process that helps communicators identify the content they should be doing, use the right channels to communicate the story and filter out the stories that don’t support their communication strategy.